BY SANJOSE.COM – Though only just popularized as a post-workout snack in the Bay, acai berries have been a staple in much of South America for centuries. The Amazonian superfood—pronounced ah-sai-ee—is known for its deep purplish hue, distinctively rich and complex taste, and laundry list of health benefits. 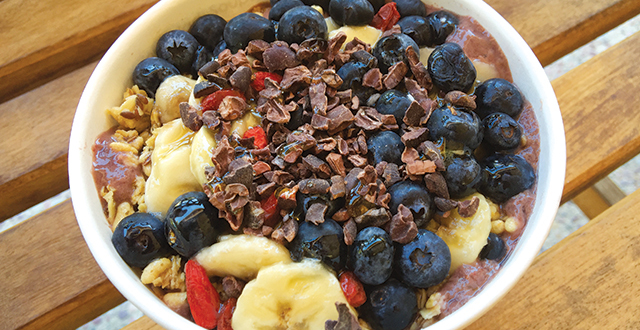 A favorite of Brazilian surfers and beach bums since the ’80s, acai is now making itself known at Vitality Bowls in downtown Mountain View. This Bay Area-based chain offers a variety of sandwiches, salads and of course, acai fruit in the form of bowls, smoothies and juices. Mountain View’s location is especially unique in that it was opened in May by 18-year-old Westmont High School graduate Angelo Camacho, who is arguably one of the youngest acai entrepreneurs in the biz. The Mountain View outpost is the 50th location in the ever-expanding chain, which was founded in 2011 by Camacho’s aunt, San Ramon resident Tara Gilad. On a Sunday morning when I visited, the small cafe and adjacent patio space were packed with Lululemon-clad customers and a few families getting their fill of the antioxidant-packed breakfast food. Although I wouldn’t call myself a health nut, I do frequent the Whole Foods juice bar a few times a week. 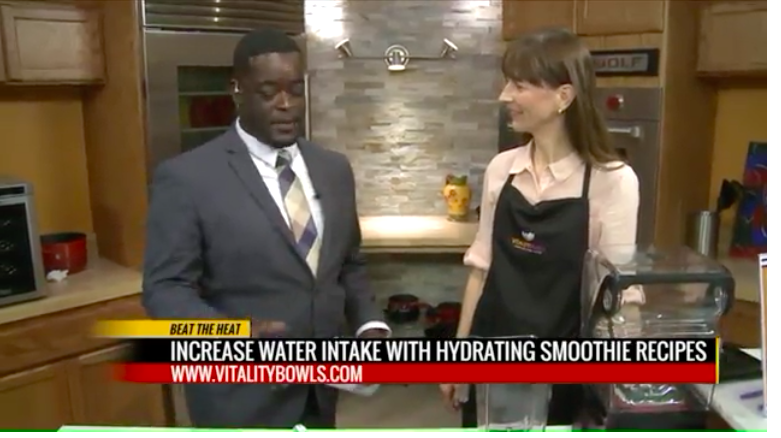 So I was surprised to learn about a number of “superfruits” Vitality Bowls serves that I had never heard of before, including acerola, graviola, camu camu berries, pitaya and aronia. High in vitamin C, potassium, B-vitamins and antioxidants, these superfruits are combined into a proprietary “VB blend” that acts as a base alongside acai in almost half of Vitality Bowls’ dozen-plus menu items. I opted to try the tropical bowl ($12.49), one of the most popular menu items, which was composed of acai, coconut milk, apple juice, bananas, mango, flax seed and pineapple as its base and was topped with organic granola, bananas, strawberries, coconut shavings and a drizzling of honey. The bowl came out neatly decorated and stacked high with fruit, making it somewhat difficult to dig my spoon into. But it was worth it once I did: the flavors and textures from the toppings and base paired together perfectly—the ideal combination of sweet, tangy and crunchy. The tropical bowl’s base was fairly sweet, due in part to the added apple juice and honey, and tasted dessert-like without feeling heavy. I also sampled Vitality’s superfood bowl ($14.49) which included acai and the VB blend of superfruits as well as graviola, acerola, kale, bananas, strawberries and almond milk as its base. It was topped with tangy blueberries, cacao nibs, granola and bananas, and was sprinkled with a generous heap of goji berries, which are known for their high protein and fiber content. The crunchy cacao nibs and granola went together nicely with the chewy goji berries and complimented a base that felt filling and healthy without compromising on taste. While all of the Vitality’s acai bowls come with a multitude of topping combinations, customers can also customize smoothies, juices, and bowls with extra mix-ins or toppings for only an additional 75 cents. 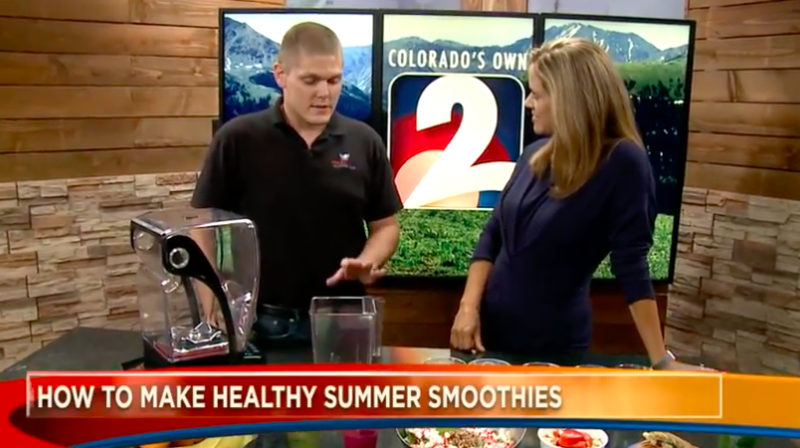 Try adding noni fruit, a tropical fruit native to Polynesia that touts immune-boosting and tumor-fighting properties, or ginkgo leaf powder, which is said to improve brain health. It should be noted that all of Vitality Bowls’ menu items are made fresh to order, so be prepared to wait a few minutes—especially if there is a queue of online or to-go orders. That being said, the acai bowls at Vitality are worth the wait and then some. Made with organic ingredients, zero ice, added sugars, fillers or dairy products, they’re healthy enough that you won’t feel guilty going back for seconds. 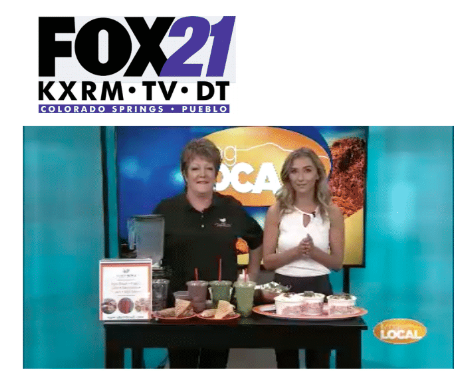 BY KXRM-TV – Vitality Bowls Castle Rock stops by FOX-21 to talk summer smoothies.